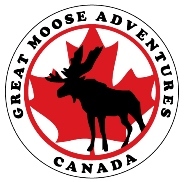 Great Moose Adventures - What should I bring? What should I bring to Great Moose Adventures? Please read through carefully - it is important to be prepared! Inclement weather - we will check the weather 24 hours in advance of the trip and if there is any dangerous weather (thunderstorms, freezing rain, or major storms) we will contact you to reschedule a new date for a visit.